[Update: 1/2/11: Star Ledger editorial: Gov. 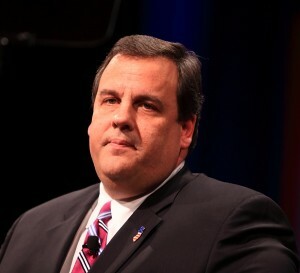 Chris Christie’s double standard on political money. “The organization calls itself Reform Jersey Now, a grand irony when you consider that its main purpose is to end-run campaign finance laws that Christie supposedly supports ….only a practiced politician would have the chutzpah to make such an implausible claim. … He understood that it’s a sleazy practice that puts both parties within winking distance of a bribe, and that it engenders widespread mistrust. … But this episode tarnished the governor’s reputation. He behaved like a perfect hypocrite. The only honorable thing to do at this point – given that appearance of a conflict of interest is the legal standard in NJ – is to immediately resign from the LSP Board. Contractors paid hundreds of millions of dollars by state agencies were among the top donors to a group that has been publicly promoting Gov. Chris Christie’s legislative agenda for the past six months. We wrote about the DEP related aspects of one of those major contributors, Langan Engineering (see this). But there are far larger Langan links at DEP. It turns out that Langan Engineering just happens to dominate that effort with nine (9) representatives involved! This is in addition to Langan senior associate Jorge Berkowitz’ access and influence as an LSP Board member (see this link for the DEP SRRA stakeholder groups and their composition). Langan’s “Reform NJ” contributions, provided at the same time Langan secured preferential access and influence at DEP, raises major ethical issues that could compromise the independence of and taint the objectivity of DEP. So we call on DEP Commissioner Martin to respond – see letter below. As you know, I testified on December 9 to the Senate Environment Committee’s oversight hearing on DEP implementation of the Site Remediation Reform Act (SRRA). I noted, among other things, that the composition of DEP SRRA “Stakeholder” groups was “95% or more dominated by industry” and that these groups were re-writing the technical requirements for site remediation in a way that violated the premises of and undermined commitments of the SRRA, while weakening transparency, accountability, and public health and environmental protections. Since then, we learned that Langan Engineering and JM Sorge are two groups named in the “Reform NJ” pay to play scandal. Both are heavily represented on DEP SRRA stakeholder groups I criticized in testimony. Remarkably, Langan has nine (9) members and JM Sorge has one. This is in addition to Langan’s senior associate Jorge Berkowitz, who was nominated by Governor Christie and now serves on the SRRA LSP Board. In addition to looking into state contracts with “Reform NJ” contributors, I request that you conduct an investigation into Langan’s influence on DEP SRRA, LSP Board, and LSP programs. An audit of Langan’s SRP LSP cases pending before the Department also is warranted to assure that their access has not resulted in favorable treatment. We believe that “Reform NJ” actions, in concert with DEP SRRA and LSP Board involvement, has violated this ethical standard and that the situation warrants investigation in order to preserve the Department’s integrity. We also request your support for calling for the resignation of Mr. Berkowitz of Langan from the LSP Board and termination of involvement in DEP SRRA stakeholder processes. I appreciate your timely and favorable consideration of this request. Jorge Berkowitz is a senior associate with Langan Engineering. He works as a consultant to responsbile parties (polluters) in cleaning up toxic waste sites. In 2008, Berkowitz testifed in support of legislation to privatize the NJ toxic site cleanup program and create so called “Licensed Site Professionals” (LSP). At the time, we testified that an LSP program would result in gross conflicts of interest and invite corruption and abuse. The LSP bill was signed into law in 2009 and on May 11, 2010 Berkowitz was nominated by Governor Christie to the Site Remediation Professional Licensing Board, where his conflicts of interest have multiplied vastly. The LSP Board oversees the LSPs, including enforcement of ethics, conflicts of interest and professional standards. The old cliche about the fox guarding the henhouse doesn’t begin to describe the swamp that Berkowitz is up to his eyeballs in. Well we now learn – SURPRISE, SURPRISE! – according to today’s Star Ledger – that Berkowitz’ firm, Langan, has been pumping big money into a political operation that supports Governor Christie. List of biggest donors to pro-Christie group includes contractors paid millions by N.J.
TRENTON – Contractors paid hundreds of millions of dollars by state agencies were among the top donors to a group that has been publicly promoting Gov. Chris Christie’s legislative agenda for the past six months. Jorge, you might as well stand on your credentials, because their ain’t much else left. The whole world is watching, Jorge. d. (1) The Governor may remove a member of the board for cause, after a public hearing. p. A licensed site remediation professional shall not allow the use of his name by a person, and shall not associate with a person in a business venture, if the licensed site remediation professional knows or should know that the person engages in fraudulent or dishonest business or professional practices regarding the professional responsibilities of a licensed site remediation professional. We continue the 2010 year in review today, starting with a brief discussion about the ways the environmental rollback has been publicly justified by slogans used by Governor Christie, his DEP Commissioner Bob Martin, and the Red Tape Czar, Lt. Governor Guadagno. The little media coverage there has been has mostly uncritically embraced and parroted these slogans, media thereby abdicating their role as truthtellers in favor of stenography. So let’s start by briefly describing the Christie slogans, explore their deeper meaning, and expose the policies they mask and the special interests they benefit. Slogans are intended to shut down thought. Slogans are a very different form of rhetoric than the traditional practice of spin. Spin at least remains tethered to underlying reality: spin seeks to interpret reality and persuade through rational argument. But slogans are not grounded in interpretation of reality or a form of persuasion. Slogans are empty – they displace the substance of reality, and fill it with a myth that appeals to irrational motives or fears. Slogans are designed not to seek truth or persuade, but to hide the truth and manipulate thought and emotion by creating a false perception of reality. Slogans are made necessary because of the strong public support for protecting public health and the environment. “Take the example of DuPont, which wowed the world in 1938 with nylon stockings. Known as one of the most innovative American companies of the 20th century, DuPont now sells less than a third of its products in the U.S. In the first nine months of this year, sales to the Asia-Pacific region grew 50 percent, triple the U.S. rate. Its stock is up 47 percent this year. So instead we have slogans, founded on either false premises or outright lies. These slogans serve a dual purpose. instead of conducting campaigns to shut down coal plants and make a rapid transition to renewable energy, we are consumed responding to straw men arguments are used to change the conversation and frame false choices like the need to reduce energy costs by ending subsidies to renewable energy and eliminating the Societal Benefits Charge. So the use of slogans provides the business community a twofer: they dodge accountability for creating huge problems AND are provided “regulatory relief”. Tomorrow we’ll try to close out the year – and if space and time permit, highlight expectations and priorities for 2011. The year 2010 began with low expectations for environmental progress. We started in the wake of Obama’s disaster at the global warming treaty collapse at Copenhagen; with deep disappointment with Congressional Democrats’ inability to enact real reforms despite huge majorities in both Houses; and under a dark cloud cast by the election of NJ Governor Chris Christie. But remarkably, events actually were worse than anticipated, while we broke new ground on the appeasement front. Needless to say, we have been very closely following the Christie Administration – and we’ve exhaustively documented a monstrous record. the Democrats in the legislature either support the Governor or don’t have the spine to take him on (with the exception of Senate Majority Leader Barbara Buono). So here is the NJ 2010 year in review – a monthly calendar of major events followed by Wolfenotes.com (for national issues, visit the DC PEER site). Our first installment covers the campaign, transition, and first quarter of 2010. Come back tomorrow, when we present the second quarter of 2010. Last week, the Environmental Working Group (EWG) released a study that found widespread toxic hexavalent chromium in the drinking water in 35 US cities. Curiously, NJ – a State with the worst chromium contamination in the country, a favorable precedent setting federal appeals court decision, and a leader in the risk assessment science – was not part of the EWG study. 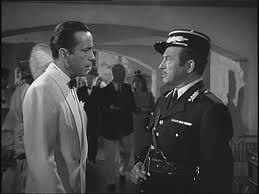 The press coverage of Jackson – or Jackson’s spin – seemed like a Claude Rains Casablanca redux:”I’m shocked, just shocked, that chromium is in drinking water”. So, I thought I’d remind folks of Jackson’s extensive experience in New Jersey with chromium – PLEASE HIT THE LINKS BELOW – let’s hope that her NJ record is not repeated at EPA. Washington, DC – Three days before Christmas, EPA Administrator Lisa Jackson promised swift action on the presence of hexavalent chromium (or chromium-6, the substance made famous by Erin Brockovich in California) in drinking water after meeting with 10 U.S. Senators. During her tenure as the top environmental official in New Jersey, however, Jackson stalled or minimized health warnings on chromium-6, including those from her own staff, according to materials posted today by Public Employees for Environmental Responsibility (PEER). Newspaper exposes documenting that scientific fraud by consultants and improper industry influence led to relaxed DEP cleanup standards for chromium, saving corporate polluters hundreds of millions of dollars in reduced cleanup costs.